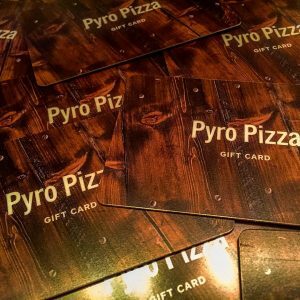 Who doesn’t love a gift of pizza? You can pick up a physical gift card in any amount from the cart, or order a digital one here! Call in your order for quick pick-up.